Dubai: The UAE is set to make a key contribution towards ushering in a new chapter in world history when it launches the world’s first tolerance charter aimed at spreading the values of tolerance, peace and coexistence, said Shaikha Lubna Al Qasimi, Minister of State for Tolerance, at a meeting with UAE-based local and international media. The UAE Charter of Tolerance, Coexistence and Peace will serve as a platform to coordinate and energise efforts to achieve the vision behind this objective that was initiated by Shaikh Zayed Bin Sultan Al Nahyan. Shaikha Lubna, the world’s first Minister for Tolerance, said that the media is a key partner in promoting coexistence and spreading tolerance among people of different cultures and backgrounds, especially given the rising incidence of terrorism, bigotry and racism in the world. She also said that positive thinking is key to combating destructive elements and eradicating bigotry, racism, extremism and terrorism. She also highlighted the vital role media plays in promoting the true image and essence of Islam. She was speaking at ‘Meet the Leader’, an event organised by the Government of Dubai Media Office (GDMO). The event was attended by Mona Al Merri, director-general of GDMO, and representatives of a number of local and international media. The launch of a ministry dedicated to tolerance reflects the UAE leadership’s determination to promote the true image of Islam not only in the UAE, where over 200 nationalities live in harmony, but also worldwide. She also said that the ministry she oversees is unique as it offers no tangible services but is focused on promoting human values. She called upon local and international media to support and celebrate International Day for Tolerance to be observed on November 16. 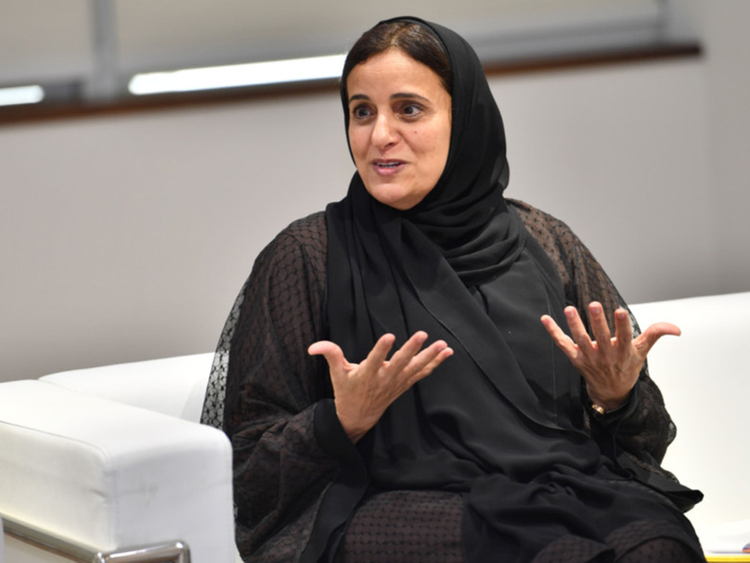 Shaikha Lubna said that the Cabinet launched the National Tolerance Programme in June as part of the UAE Vision 2021. The programme involves collaborating with federal and local entities under five main themes. The National Tolerance Programme is based on the teachings of Islam, the UAE constitution, Shaikh Zayed’s vision and the country’s ethical values, international conventions and common human values. The five themes of the National Tolerance Programme include strengthening the government’s role as an ‘incubator’ for tolerance; consolidating the family’s role in nation building; promoting tolerance among youth and steering them away from extremism; enriching scientific and cultural content; and integrating international efforts to promote tolerance.